Fifteen Conservative councilors have been quietly reinstated after facing suspension over anti-Muslim and racist sentiments voiced online, according to a report by British daily the Guardian. Dozens of party members were suspended last week over alleged anti-Muslim comments in the wake of the New Zealand terror attacks. But the Conservative party's disciplinary procedure has come under scrutiny after 15 councilors were readmitted, with Conservative Muslim Forum Chairman Mohammed Amin calling on the party to publish a formal disciplinary process. The Guardian found over a dozen examples of lawmakers who shared objectionable content, including calling Muslims "cavemen," Saudis "sand peasants" and comparing Asian people to dogs. The paper also found that most Conservative members who have been suspended over anti-Muslim or racist content have been readmitted to the party. This week, Andrew Bowles, the Conservative council leader of the Swale borough, was reinstated after a 13-day suspension over retweeting a post praising far-right leader Tommy Robinson and condemning Facebook's decision to ban him. Bowles told the Guardian he does not hold "any racist or Islamophobic views" and said he retweeted the post because he believes Robinson has the "right to have his say." The Conservative Party has refuted accusations that the party is institutionally anti-Muslim, claiming that the selective cases highlighted by the Guardian did not provide a comprehensive look into how complaints in the party are dealt with. The party "acted swiftly, suspending members and launching immediate investigations, in sharp contrast to other parties," a Conservative spokesperson told the Guardian on Sunday. News of the councilors' reinstatement comes amid growing concern over the Conservative party's dismissive response to reports of the deeply-rooted nature of anti-Muslim racism within the party, as the number of hate crimes against Muslims rose 593 percent in Britain in the week following the Christchurch mosque attacks, according to the Tell Mama monitoring group. Sadiq Khan, the Labour mayor of London, told British newspaper the Observer on Sunday that he has frequently been the target of anti-Muslim harassment by Conservative party members and supporters. 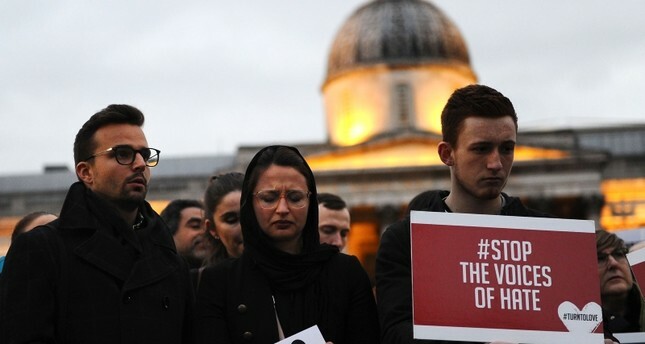 "It's clear to me that the party wants to sweep this issue under the carpet and it cares more about the public image than stopping racism have a hold in the party," assistant secretary general of the Muslim Council of Britain, Miqdaad Versi, told the Guardian. "At the very minimum they need to have an independent person look at this. I don't think people really have trust that the chair of the party has any handle on the situation whatsoever," he said. Amin, the Conservative Muslim Forum chairman, said his party had historically been slow in "coming to terms with the way our country had changed over the last 60 years." "There is a problem, in my view, particularly at grassroots level, with far too many people who have absorbed anti-Muslim bigotry, because there is quite a lot of it around," Amin said. Amin said "one fundamental change" is necessary in the party disciplinary procedure: "There needs to be a more transparent process, much clearer criteria, which are published. Not just criteria for suspending people but criteria for unsuspending people." He suggested that suspended members be required to apologize and undergo diversity training before being readmitted, but whatever the procedure, it needs to be proscribed in a "clear published rule book."